Massage Therapy – Labor of Love Doula & Childbirth Services, Inc. Intentional touch is another name I would apply to massage and bodywork. It is nurturing and skilled touch. We have learned that intentional touch provides physiological change on many levels. Regardless of the technique, or the recipient the act of intentional touch has a positive effect on our nervous systems. It brings about feelings of calm relief. It activates the parasympathetic nervous system, the “rest and restore” mechanism. I like to think of this entry into the nervous system as accessing your internal pharmacy. It restores to the body balancing elements of serotonin, tryptophan, and dopamine. These among other things are natures “chemicals for the brain” They respond to the body with pain relief, stress reduction, improvement in sleep and hormone management. In comparison, the sympathetic or “fight /flight” mechanism activates adrenaline. We respond with fear and stress. We live in a society that still responds to fear from a very limbic system. We respond to common stress with the same intensity that our ancestors responded to saber tooth tigers. Stress hormones are the breeding ground for disease and dysfunction. What a great tool we have built in to counter this, to intentionally activate the “rest and restore” mode. Massage and therapeutic bodywork are crafted to do just that. So that, less stress hormones affecting mama result in less stress hormones affecting baby. When it comes to conception, pregnancy, labor, birth and postpartum there is a long list of benefits. Great results have been seen with a specialized fertility massage. The mind / body integrative massage work has been found to be exceptionally successful here. Massage and bodywork supports the pregnant woman through her changing trimesters, addressing individually the needs of each. It works to reduce pain and anxiety, increases blood and lymph flow to assist in the gentle detoxifying of the body. It is nourishing on all levels: physically, emotionally, psychologically and spiritually. Women find that they sleep better, have more energy and fewer complications in labor. The fewer complications come with reduced stress levels as well as alignment and the release of muscle tension. On a much deeper level, helping to establish the mind / body connection and to assist her in letting go, releasing fear and stress stored as tension, the gift of spending time connecting with her pregnancy and her child. Taking care of mama is a big step towards a healthy family. While different women desire different types of massage during labor, there are tools to support each stage of labor. Each stage of labor has its own unique bodywork needs. Early labor and preceding the onset of labor pressure points and alignment are the focus. The deep relaxation allows for the laboring mother to enter into her labor calm and relaxed. This state of mind and body help her to handle the onset of increasing contractions. As labor advances more soothing techniques are usually desired along with counter pressure and pelvic releases. Labor massage can decrease the need and use of technological birth interventions, reduced medication needs and contribute to making birth healthier, calmer and safer. It both decreases pain and lowers stress levels in the laboring mother. Infants also benefit from massage. They are soothed by “intentional touch” and studies have found that infants that receive touch thrive better. Intentional touch nourishes your infant, boosting its immune system and stimulates their neurology, helping them adjust and adapt to their new world of sensations. There are specific techniques to use for congestion and digestion as well, two of babies’ biggest complaints! You can learn the techniques yourself and provide your baby with additional loving care. There is no better soother than your two hands, another of natures’ natural cures. 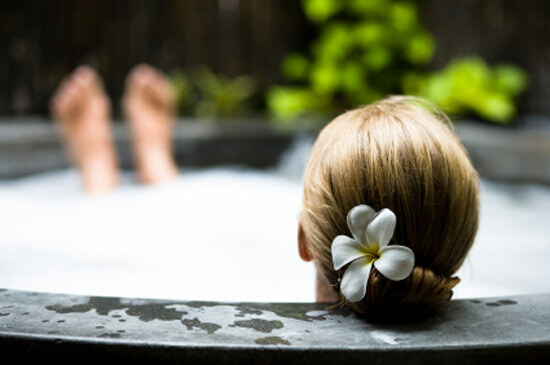 Massage is often seen as a luxury, a pampering…well YES! It is AND it is so much more. It is a contribution to the health and wellbeing of your children…prior to birth and as they grow. Charlotte Scott, Massage Therapist, specializing in Prenatal, Postpartum and Infant Massage as well as many other types of Bodywork. Sometimes when I remind a mom who is due soon that she should be using the last weeks of her pregnancy for pampering, she thinks this is frivolous behavior. Pampering is a great preparation for birth! Here are the ideas and the benefits to each of these things that I suggest! Resting, getting more sleep! Our bodies when we are almost due becomes in more need for sleep and rest. So listen to your body! If it says to call in to work for a rest day- do it! If you need an afternoon nap- take it! And although you are feeling the need to finish all of your last minute tasks, don’t! Go to bed early! Why? Fear and fatigue are the main reasons women who did not plan to get medication end up doing so in labor! So deal with your fear- but definitely don’t go to bed late to only wake up in a few hours in full labor and not have had any sleep. So, please listen to your body- your body and baby will appreciate you doing so! Massage. Circulation improvement, muscle tension relief, round ligaments being softened so that the baby can position themselves beautifully, mind release… need I name more reasons? Really, come on now- if you are one of those folks who does not think they enjoy a good massage, there are different types of massage. Try something different! Watsu is a gentle water massage in a warm pool and is very passive- stretching and swirling and softening tight muscles. Shari Aizenman offer this in the metro area. KMI is my favorite- and everyone knows Harry Kramer is my go to man for keeping my body albe to be at births over and over! I see him once a month! This is a deeper, stretching massage but he caters to what your body is craving. And one of our doulas, Charlotte Scott offers energy body work that is a different approach as well. She has this magnificent table that offers music and rhythm as part of the experience in a unique way. She does more lymphatic massage when working on me and it is wonderful as well. Chiropractic. I have a few favorite chiropractors. I think you should consider regular chiropractic care during your whole pregnancy- just like regular massages. Why? A well aligned body keeps the baby well aligned. Blood flow and your organs working at peak performance can only enhance your birth body! I think you should choose your chiropractor based on where will you go most- is it close to your work or is it close to your home- or are they open in the evening- whatever it is – make sure they are well versed in good alignment for the best birth body you can go into labor with! I enjoy going to see Leyla Cheveney in Lilburn and Danielle Drobbin in Midtown. But I must confess I need to go more often! Find the chiropractor you love and go!